Chartered Accountants will play a huge role in the coming days, what with GST being the talk of the town. Business, big and small, will need the help of their CAs to register their business, create invoices, file returns, revise mismatched returns, claim input tax credit (ITC) and understand the day-to-day intricacies of this new tax policy. 1. GST Registration: Under the earlier VAT laws, businesses operated under a single centralized registration. However, under GST it is now paramount to get registration in all places of operation, The government has temporarily relaxed the laws regarding multiple registrations for e-commerce sellers, but they will have to undergo the process once the transition period is over. CAs will have to help their clients register and educate them on the necessities for the same. 2. GST Return Filing: Businesses can create manual invoices if they haven’t yet adopted a digital invoicing solution, but the return filing will always be done online. Also, when filing returns businesses will have to ensure that their invoices match the ones uploaded by their suppliers. This process is known as reconciliation. With three returns to be filed every month the window for reconciliation for each is very small, and it will not always be possible to do this manually. Medium and large enterprises will face a huge problem during reconciliation as they will have to match thousand of invoices, and they will inevitably resort to their experts – the accounting whiz kids – to make sure reconciliation happens on time, every time. 3. Maintaining Electronic Ledgers: Each registered taxpayer will have a profile on the government portal (GSTN) and will be given access to three electronic ledgers namely E-cash Ledger, E-credit Ledger & E-liability Ledger. These ledgers will reflect the amount of tax payable and input credit balance. The ledgers will also allow the taxpayer to settle the tax liability online. It is not going to be easy for businesses that are used to keeping records on pen and paper to suddenly transition to a digital method of bookkeeping, and once again it will fall on the CAs to come to their client’s rescue. 4. Compliance and Documentation: Apart from all of these, Chartered Accountants will also have to help their clients with compliance issues and documentation. How Should a CA Prepare for GST? 1. Get your GSTIN: Chartered Accountants and other GST tax practitioners have to get their GSTIN before they can begin to work for their clients. CAs and tax practitioners will have to charge a tax on the services that they give to their clients, and they will not be able to do so without a GSTIN id. So, the first order of business should be to get the GSTIN and communicate the same to all your clients. You should also ask your clients and suppliers to forward you their GSTIN and make a list of the same. 2. Use a GST-compliant Software: For the same reasons that it is not possible for businesses to manually file returns and upload hundreds of invoices, it will be tough for CAs to do the same without any software support. 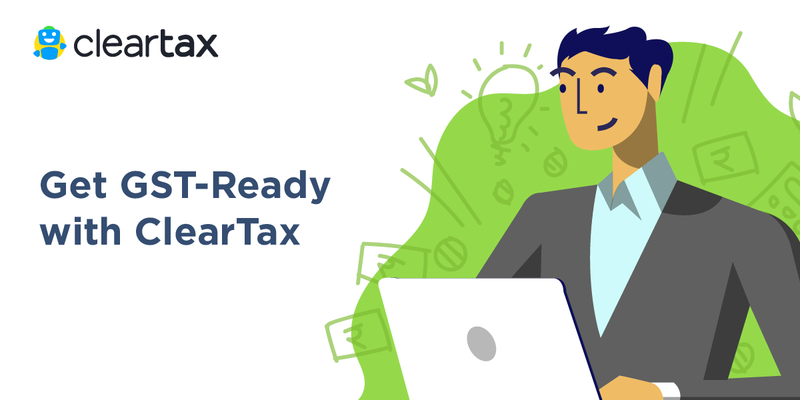 The ClearTax GST software is a ready-to-use solution that can be integrated with any existing accounting software and will help you become GST-compliant easily. It is a cloud-based software so you can use it without downloading. Once you have this software, you can add all your clients to the software and start work. 3. Get Educated on GST and Provide Training: GST is a new tax policy, and we all know that change is never easy. So, in order to help your clients, you need to first be educated about GST yourself. You can use the ClearTax E-learning module to learn about the nuances of GST, and assist your clients with the same. 4. Make Sure Your Invoices are GST-Compliant: As with your clients, you also need to issue GST-compliant invoices to all your suppliers and to whomever you provide a service. You can use the ClearTax GST Billbook for the same. It is a handy invoicing solution currently available for free on our website. The government has relaxed the rules for the first two months of GST. And companies can use this time to fulfill all the transition procedures mandated by law. You can read our article on the GST checklist for SMEs and ensure that your clients are GST-ready by following the steps mentioned therein. If you are using any version of Tally as accounting software, you can easily import all your sales and purchase data to ClearTax GST software and file your returns. Click here to explore how you can integrate your Tally data and use ClearTax GST software for all GST compliance.